Excited for this box to come back? 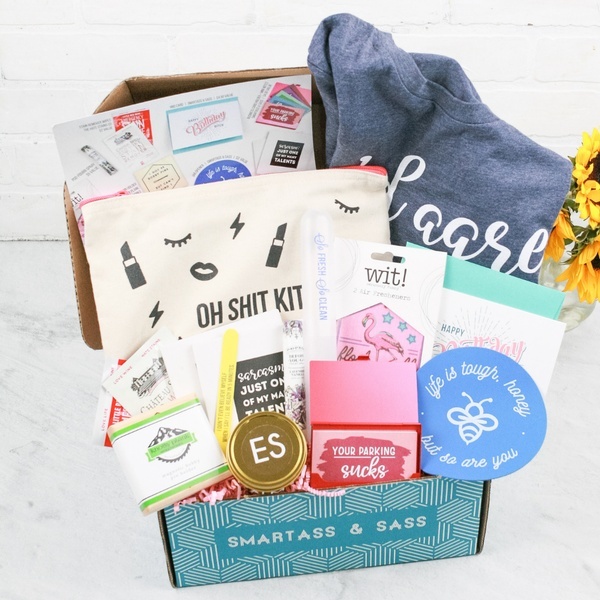 Enter your email address below to receive a notification when Smartass and Sass starts accepting new sign-ups! 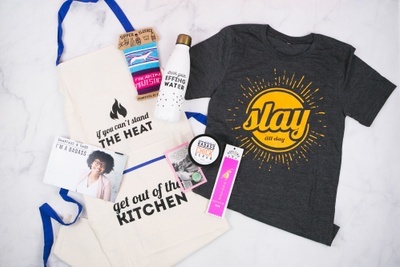 Yes, sign me up for awesome promotions from Cratejoy! Have no fear! We'll tell you when it's here. 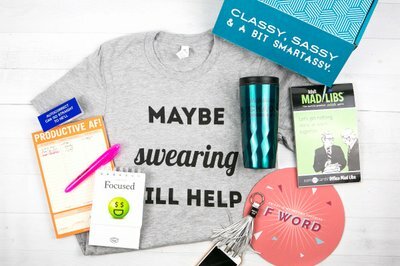 Enter your email address below to receive a notification when Smartass and Sass is accepting new sign-ups again. 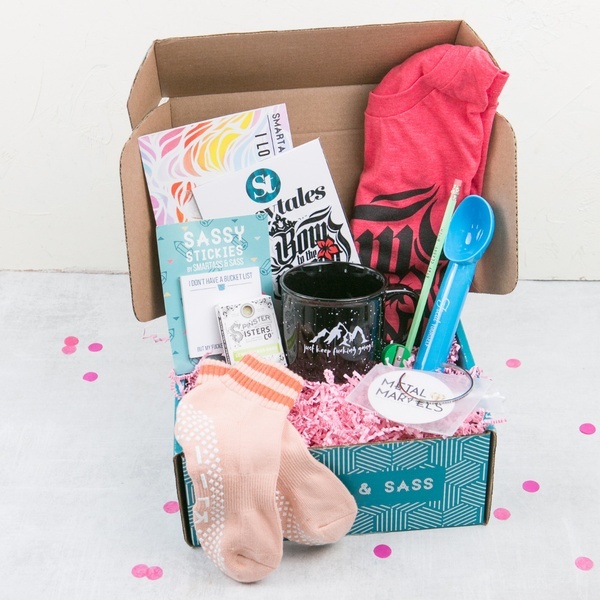 Get a monthly dose of sass! 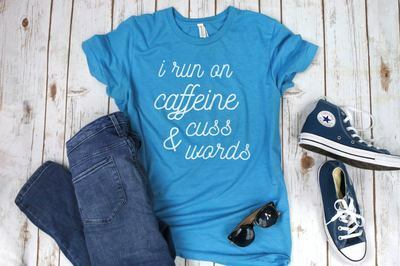 5-7 full-size items *or* a sassy shirt to make you laugh your a** off. 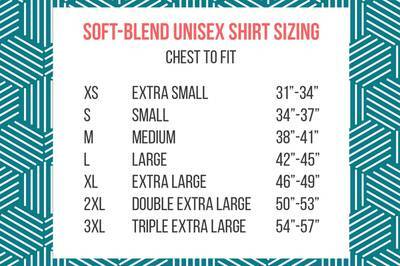 Your shirt and/or box will ship on the 18th of every month. Please order by the 12th to get the current shipment. // You will received a shipping notification and tracking number when your goods have shipped. 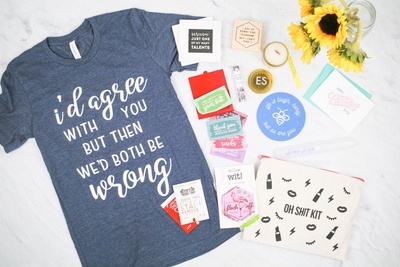 Themed shirts and boxes with hilarious products. 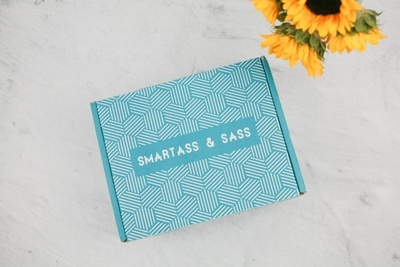 Smartass & Sass is a gift and subscription service for snarky individuals and cynical a**holes. We hand-select products from artists and small businesses and work with manufacturers to produce brand-new items that are sure to make you giggle. Subscribers also help us decide on items and have access to a secret sale shop. Join our community today! 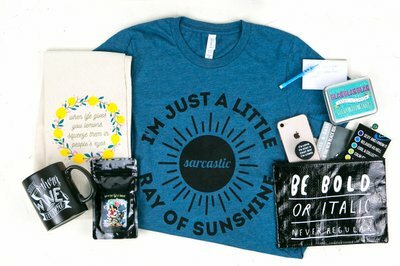 Items include: mugs, bags, notebooks, apparel, and more! Glad I am a member, everything was definitely me ! Can’t wait for the next one!! I just received my first box and I love it. The items are so cute and fun. 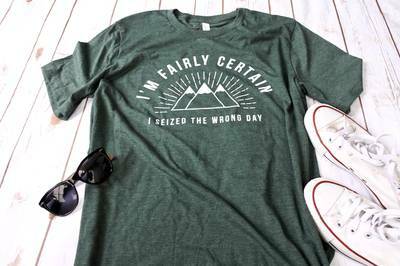 I ordered this thinking several items would be for gifting but I want to keep it all. Haha! 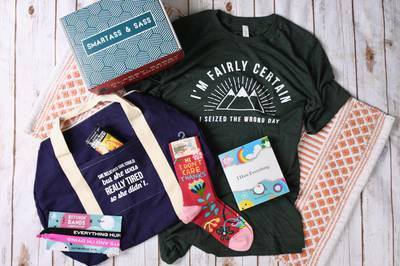 Really fun subscription box - looking forward to getting another. Highly recommend!! Ask the community and get help from thousands of informed subscribers. 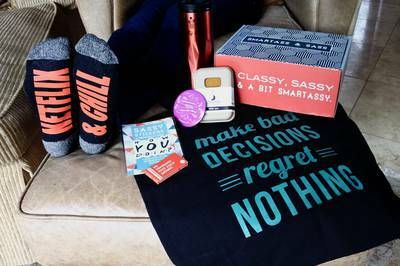 Included: shirt, bobby Pin holder, candle, stone coaster set, large pouch, plus EIGHT other items. A few are still available in our shop! 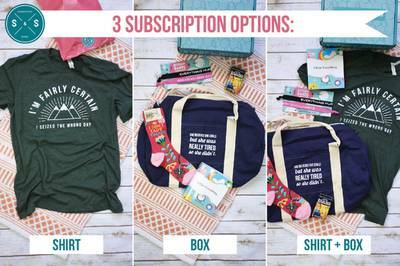 Included: shirt, sticker, socks, sticky notes, mug, ice cream scoop, bracelet, pencil, soap. A few are still available in our shop! 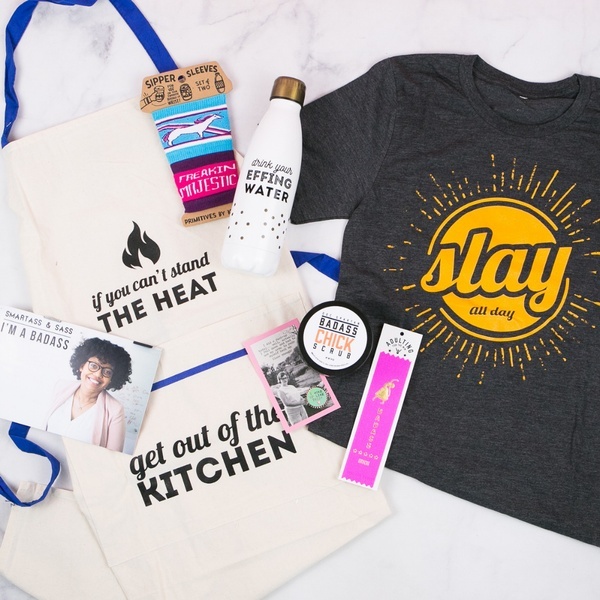 Included: shirt, drink sleeves (2), body scrub, ribbon, enamel pin, Swig water bottle, apron. A few are still available in our shop!